The Nadroga Rugby Union renewed their three-year partnership with France Top 14 club, ASM Clermont yesterday. Under the partnership first sealed in 2010, players and officials from Nadroga Rugby will be groomed to play Top 14 clubs in France. 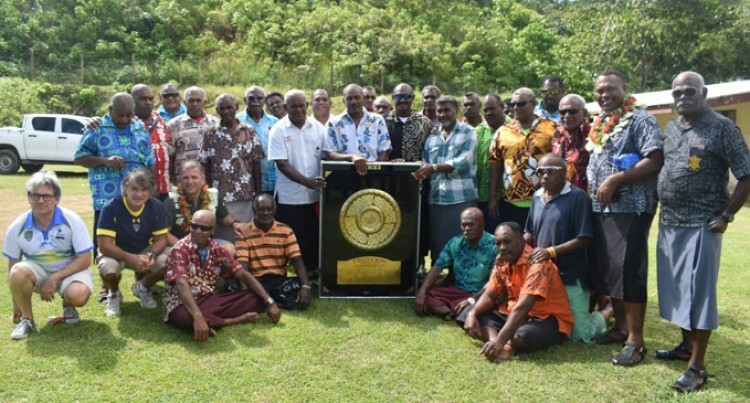 Nadroga Rugby president Jikoibau Matawalu said the renewed partnership would be a win-win situation for both parties. “We sent five players under the agreement and exchange programme and three officials,” said Matawalu. “The partnership is getting bigger and better, it’s worth the wait in the last eight years. Tiko confirmed the partnership will continue with the rugby academy at Cuvu College and another one at Sigatoka Valley High School. ASM Clermont Academy director Bertrand Rioux donated $15,000 to kick-start the new development programmes. Meanwhile, for the first time in French rugby history the famous Bouclier de Brennus, the most prized French Rugby trophy being competed since 1892 is in the country for the first time. Fiji became the first country outside of France and Spain to witness the shield. Stakeholders and students have been taking a feel of the Shield since last week. “We had two Fijian players in the team that won the shield last year so it is fitting to bring in to their doorstep as part of the partnership between the club and Nadroga Rugby,” Rioux added. 2017 Peceli Yato and Alivereti Raka (Clermont).